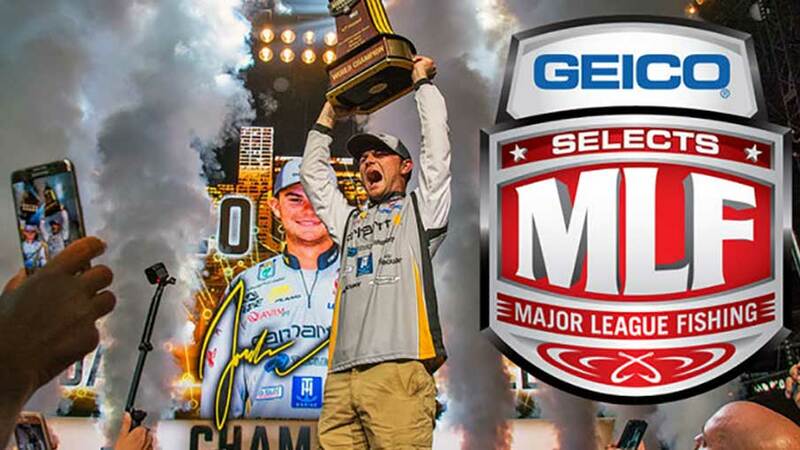 TULSA, Okla. - Major League Fishing (MLF) announces professional bass anglers Brandon Coulter, JT Kenney, Jason Lambert, Jordan Lee and Justin Lucas have accepted the league's prestigious invitation to participate in MLF Select events in 2018. Collectively, the five pros have amassed more than $4.5 million in tournament earnings and represent some of the sport's highest honors. JT Kenney and Jason Lambert have multiple FLW wins each, Brandon Coulter has several Top 10s accumulated from FLW and B.A.S.S. events, Justin Lucas has four FLW Tour wins and two Bassmaster Elite titles, and Jordan Lee is the reigning Bassmaster Classic champion. "This group of additions to MLF reflects the new wave of talent that has been hitting the tournament trails in recent years with great success," said MLF Commissioner Don Rucks. "The bass these anglers pursue have no respect for age whatsoever and that's why competitive fishing appeals to such a broad range and why MLF's unique format is so entertaining to watch. This is going to be a great year to tune in." MLF events are made-for-television bass fishing competitions featuring the country's top professional anglers. It features a live-action style of broadcast during which all competitors know how the others are doing via real time updates using iPads. MLF Select competitions are qualifying events where six of the 24 total anglers ultimately advance into the Select championship round, where the angler with the highest weight of scorable bass caught is the winner. "The Selects have their own championship, but the goal for most is to become one of the two top positions in cumulative points ranking at the end of a two-year scoring cycle who then advance and become Cup Anglers in the Major League Fishing Cup events," Rucks added. In 2017, MLF logged more than 600+ hours in programming among five networks: CBS, CBS Sports Network, Discovery, WFN and Outdoor Channel. The 2018 MLF TV schedule is underway, with Summit Select action airing Saturdays,2-4 p.m. ET, on Outdoor Channel.